We will be attending the Annual Milford & Co. Flea Market at the Everett Ice Arena on Sunday, April 7, 2019. Doors are open from 9 a.m. to 3 p.m. You never know what kind of deals you will find!! We would love to see you there! We’ve added two new products to the store this month. 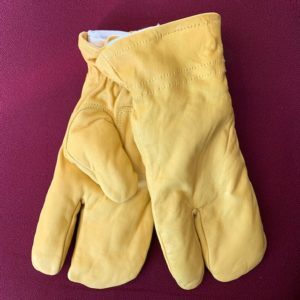 The Chainsaw Mitt has a deerskin outer and a mitten design with versatile throttle finger. 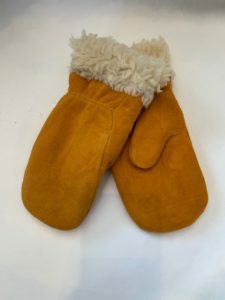 And for the kids we’ve added a Children’s Deerskin Mitten with pile lining.